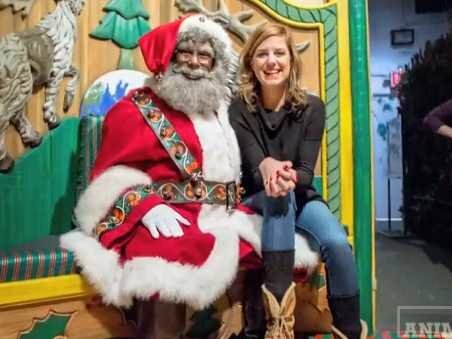 Today a friend referred me to this video by Animal New York and contributing writer, Amy K. Nelson, who investigated Macy’s Department Store’s “Special Santa,” a black Santa Claus. Amy learns that “Special Santa” is only accessible if you are in the know, and ask one of the elves at Macy’s to take you through a winter wonderland maze to a small corner room where “Special Santa” waits to greet little ones that wish to see a jovial Santa who looks like them. I say, wait, what?? What say you?